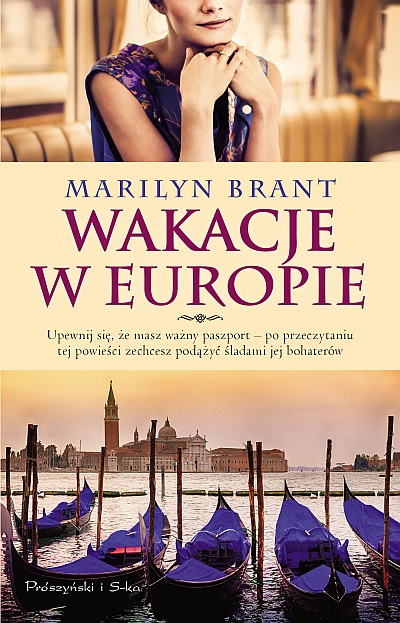 A modern story along the lines of E.M. Forster’s A Room with a View about a young woman’s journey of self-discovery as she travels across Europe with her adventurous aunt’s Sudoku and Mahjongg club. Many wild (and a few romantic) experiences await! 1. Who is Gwendolyn Reese? What is her personality like and how has it been shaped by her early experiences? 2. Who are the people inhabiting Gwen’s world at home? What are their roles in her life? When she travels to Europe, she enters a new world filled with new people and situations. How does she handle the change? How would you handle it if you were in her position? 3. The first line of the book says, “The thing no one understood about Gwendolyn Reese was that she was three ages at once: Thirty chronologically, forty-five intellectually and fifteen experientially.” Do you believe a person can be at one age chronologically but also have different intellectual, emotional, social, etc. ages? What about you? Are you one age…or multiple ages? 4. A number of strategy games are referenced in the novel—which games do you most like to play, and have you ever applied the rules of your favorite one(s) to a social situation? 5. In 1904, E.M. Forster wrote the novel A Room with a View, are you familiar with it? 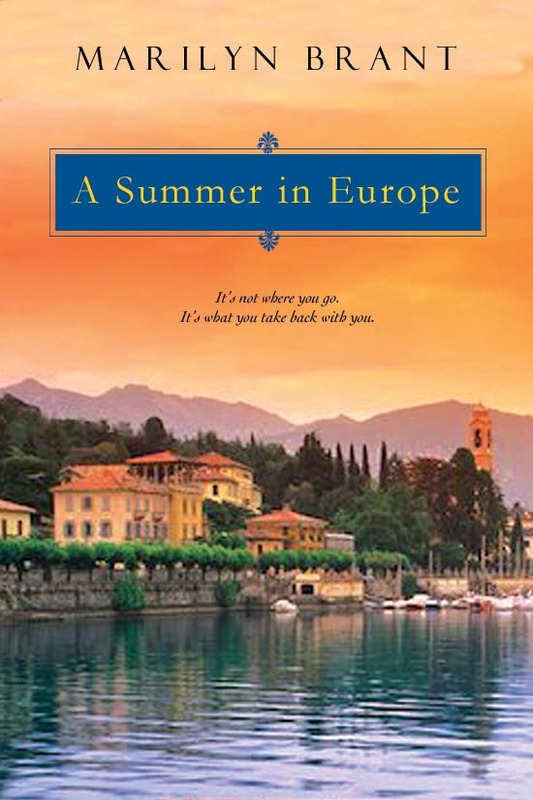 If so, do you notice any parallels between Forster’s novel and A Summer in Europe? 6. The author has created a musical soundtrack for this novel by mentioning several songs throughout and focusing largely on stage musicals, particularly those of Andrew Lloyd Webber. Are you a fan of musical theater? Are you familiar with the songs referenced in the story? 7. In A Room with a View, E.M. Forster wrote, “The kingdom of music is not the kingdom of this world; it will accept those whom breeding and intellect and culture have alike rejected.” What does this quote mean to you? 8. Have you traveled to countries other than the one you grew up in? What have your experiences been? Have you visited any of the sites and cities mentioned in the novel? If so, what were your impressions of them? 9. Are you familiar with Albert Einstein’s attempts at finding a “Theory of Everything” or the physics doctrines mentioned in the book, like String Theory or Heisenberg’s Uncertainty Principle? 10. What is the relationship like between the Edwards brothers, Emerson and Thoreau? How has their mother’s behavior influenced them? Do your family dynamics ever resemble that of a soap-opera clan? 11. What did Gwen need to learn about herself in order to understand the people on the tour better—particularly Cynthia, Louisa, Hans-Josef, the Edwards brothers and her Aunt Bea? 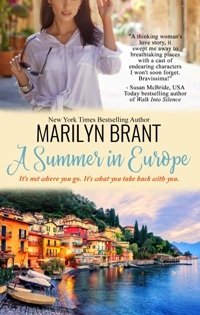 Her personal reawakening begins in Florence, the birthplace of the Renaissance. Coincidental or no? Discuss. 12. What are your thoughts about the love triangle at play between Gwen, Richard and Emerson? Is there a love triangle (from the literary, music or film world) that calls to you? Have you ever been a part of a romantic love triangle? If so, who did you choose? 13. Zenia asks Gwen and then Gwen, in turn, asks Richard, “What is your art?” As an individual, how would you answer this question? And Jakki of Leatherbound Reviews posted a wonderful “vlog” for A Summer in Europe — I loved it! You can watch it HERE! Finally, you can also watch as bestselling author Susan McBride discusses my novel on her visit to the TV show “Great Day St. Louis” — the link to the video clip is right HERE! !